Happy Tuesday, all! This week’s Top Ten Tuesday topic from That Artsy Reader Girl is Books That Awaken the Travel Bug in Me. I’ve actually done a few travel-themed posts recently (see Ten Countries I’ve Visited Through Books, Book Settings I’d Love to Visit) which, although not specifically talking about books that awaken the travel bug in me, nevertheless list many of the books I would include in a list of books that awaken the travel bug in me. So, rather than doing a list that feels like a rehash, I’ve decided to give this week’s topic a little tweak and highlight some books where the characters themselves are travelling for some reason. The first four books on my list—The Captured Bride by Michelle Griep, Leaving Independence by Leanne W. Smith, Revealed by Tamera Alexander, and Mattie’s Pledge by Jan Drexler—all take place in the days when travel across America was by wagon. The characters have varied reasons for travelling, but in each case the journey from A to B (or perhaps, not quite B as the case may be!) forms a large part of the story. The next three books on my list all have an element of suspense to the journey. In Connilyn Cossette’s A Light on the Hill, the main character Moira has to flee to one of the Biblical cities of refuge after an accidental death. In Alana Terry’s Turbulence, Kennedy and her friend Willow are heading to Willow’s family home in Alaska when the plane they’re on is hijacked. And as many will no doubt be aware, in Charles Martin’s The Mountain Between Us, the two main characters are travelling via a private plane when they crash in the remote wilderness of Utah in the dead of winter. They have only themselves to rely on not only to survive, but to find their way back to civilization. And if you’ve only seen the movie, do yourself a favour and read the book. I enjoyed it even more! This last group is a bit of a miscellaneous group. In The Heart Between Us by Lindsay Harrel, heart transplant recipient Megan decides to fulfill her teen donor’s bucket list and travel to all the places she wanted to see. In Lynn Austin’s Where We Belong, society sisters Rebecca and Flora Hawes are travelling through the Sinai Desert to find an important biblical manuscript. The story is a mix of this journey and the sisters remembering their past and all that has brought them to this point. Do you have a favourite book where the characters are on a physical journey? I’d love to know! 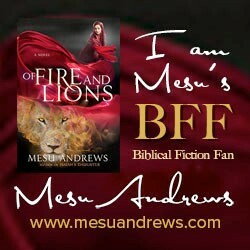 Image | This entry was posted in Christian Fiction, Top Ten Tuesday and tagged Books, Fiction, Reading. Bookmark the permalink. Great list! I just added some new books to my TBR because of your choices.